CPAP experts in Brisbane are available to help patients with even the most complex problems. Unlike other CPAP suppliers who see CPAP as a product and themselves as simply merchants, our expert CPAP nurses take the time to ensure you get the best possible results from your CPAP therapy. We feel it's our job to not just provide you with a CPAP system, but also to make sure you become completely familiar and comfortable with the treatment so you enjoy the best possible results. 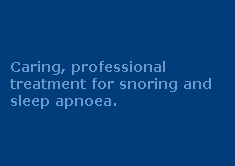 We're proud to be independently recognised as the CPAP experts in Brisbane. We've earned this distinction by working one-on-one with each patient, often in the comfort, privacy and convenience of their own home. Instead of simply providing the CPAP equipment and wishing the patient good luck, our CPAP nurses will help you trial different masks, CPAP machines, humidification systems, head straps and more ... and they'll keep working with you until they find the ideal combination for your situation and circumstances. Only then will they recommend you purchase your own CPAP system. Prior to that, the entire trial period is done with rental machines, so you don't need to make any major outlay until you're absolutely positive about the benefits you'll enjoy. Other suppliers sell CPAP systems 'up front' then leave the patient to figure things out themselves. Not us. As the expert Brisbane CPAP suppliers we go the extra mile to ensure you're fully supported until you're fully comfortable with your treatment. That full support includes regular phone contacts, visits, data downloads from your CPAP (to check exactly how well you're going and what can be done to improve your results) and a personal help-service for each patient. The personal help-service means you can call your CPAP nurse at any time for help or advice on any matters you're dealing with, even outside of working hours and on weekends. If you've been prescribed CPAP, you clearly have a serious condition which deserves serious treatment. Don't make the mistake of simply getting your CPAP system from a merchant who doesn't care about you after the sale has been made. Instead, make the decision to get the best results from your CPAP therapy by dealing with the expert CPAP suppliers in Brisbane. Call 1300 246 637 during business hours, or complete the enquiry form below to arrange a FREE, no obligation chat with a CPAP therapist.